Supervillain or antihero; Catwoman’s status in Gotham has always been hard to pin down, abiding as she does by her own moral code. Possessed of an almost superhuman gymnastic agility, her notoriety as a cat burglar is at odds with the selflessness with which she protects her neighbourhood. 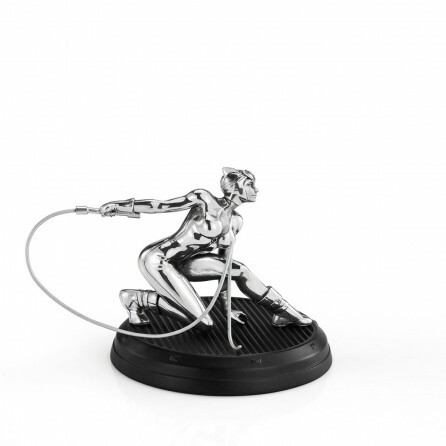 Wielding her bullwhip as if it were an extension of her body, Alan Quah and Mufizal Mokhtar’s interpretation of Catwoman’s signature suit and dynamic pose are shown to advantage in highly polished pewter.